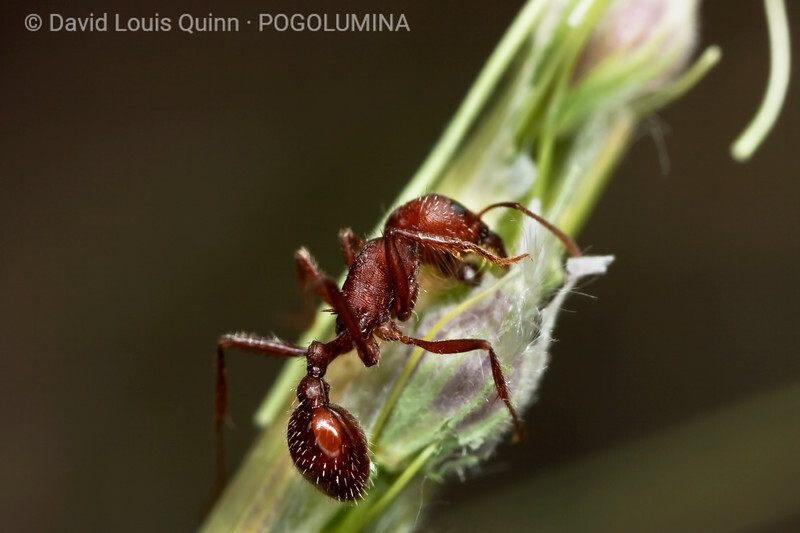 [IMAGE 2 of 2] 'Indian rice grass' (Achnatherum hymenoides) and Pogonomyrmex salinus worker - 2 minutes and 13 seconds after the previous image. The ant has gained access to one of the florets (which contains the nutritious seed), and is continuing to free it from the stem. Less than 2 minutes later, she snipped the skinny pedicel (seen at the bottom of this image), and the whole floret dropped to the ground. This ant stayed on the plant, and continued working - leaving the retrieval of this potential food item to her nestmates on the ground. This large clump of grass was approx. .5 m / 2 ft from the nest entrance, but this appeared to be foraging activity only, and not an attempt by the ants to remove the plant.